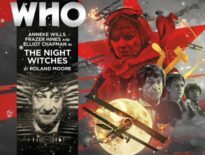 Timely and topical for this year’s Doctor Who Christmas special, as the First Doctor again bursts and bickers back onto our screens, we see Big Finish release The First Doctor: Volume Two. 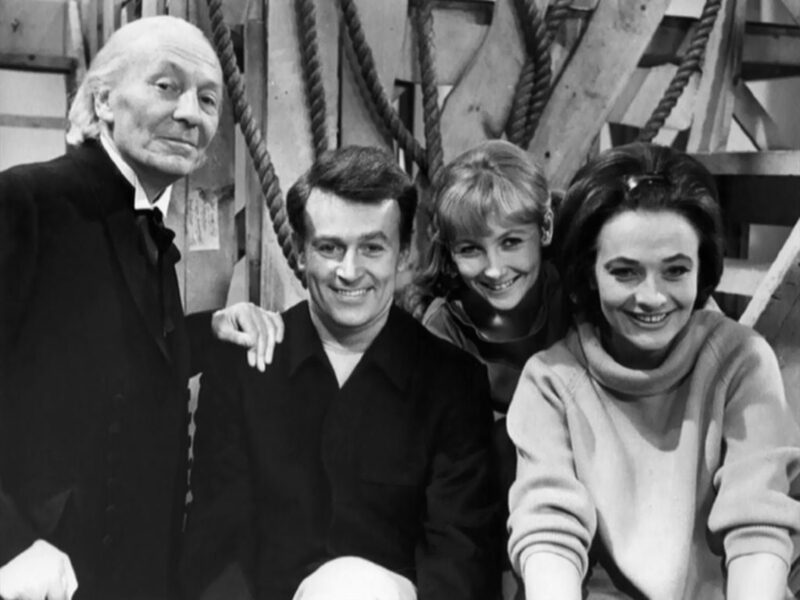 This set contains four complete stories featuring the First Doctor and his companions. The stories carry a small arc that culminates in the final adventure. To make this review manageable, chewable, and presented like a four-course repast (you may don your serviette), it will be hung, drawn, and quartered into its fleshy parts, otherwise known as stories. The first tale in this set is read by Maureen O’Brien as Vicki, and sees said Vicki, and unsaid Steven finding themselves in the Doctor’s favourite horrid little moment in history, the French Revolution. This time, however, we’re far from those big names History loves to gush at, and we’re down and dirty with the violent little people seeking to change France for the better. This story is excellent. It feels very much of the show’s era, and as events progress, there are some very smart little shifts in direction. I’ve always felt one of Doctor Who’s biggest mistakes is, like history itself, that it favours the big historical names, and misses the opportunity to explore the rich colours surrounding and imbuing the little people, those unknown individuals who are the foundations of historical matter. Here we see history from the bottom-up and the dark repercussions of France’s revolution. It’s a brilliant adventure, and O’Brien tells it perfectly. You could picture this being produced for television Who’s meagre budget. Field of Terror captures the essence of Hartnell’s with some contemporary storytelling twists. 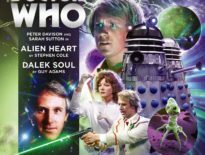 A special and temporal shift to future galaxies unknown sees us following Steven Taylor for the second story, trapped on the planet Shade with one Steven’s old pals, a Dalek. Again, this is a great tale. It has suspense, it’s well paced, and Purves, as always, really gives it weight. I was never keen on Steven Taylor as a character; he always felt somewhat lacking depth and realism after Ian, but Bartlett really captures the character’s mix of vocal frustration, instinctive heroism, and snap ingenuity. He may lack the good old British chappiness of Chesterton, and perhaps his strategy, but Steven is quite captivating in his own way. Across the Darkened City is not structured quite like an old Doctor Who, starting medias res with Steven already captured by his foe, distanced from his companions – however, the setting of the Darkened City being, well, very much dark, means I can imagine again, the BBC merrily signing off on the budget. My only qualm here is the Chaons feel very much like many Big Finish monsters, a little over-rendered in their threat. I’d call them “overclocked” in their aggressiveness and visceral description. While I see the need to generate a foe worthy of being a Dalek-threat, they just feel too rendered in horrific-ness; there’s no subtlety here. This is more a niggly bugbear than a real criticism as it doesn’t change the fact this is a very enjoyable adventure from start to finish. It homages the show, particularly in the struggle for Steven and the Dalek to escape the city, and it also pushes the boundaries a little in its opening act and resolution. Very good indeed. On we go to latter-day Hartnell. Polly and Ben land in Lewes during the 1950s with a very fatigued Doctor. It is bonfire night, and things are getting very heated as the Bonfire Boys begin to tear the streets apart. Can Ben and Polly manage the anarchy of Bonfire night and protect an ailing Doctor? This story is really a curiosity and I’m very much in two-minds. On one hand, I found it very enjoyable. Again, you can imagine it being produced for television. The story is heavily set in an old library, with the streets and town hall being the other key places of interest. All in all, it feels like a 1966 story. 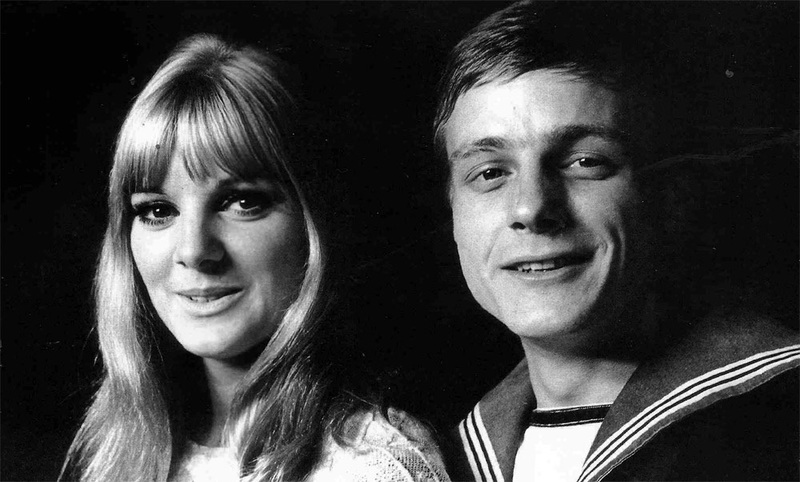 Anneke Wills and Elliot Chapman do a great job as narrators, with the latter’s spot-on characterisation of Ben. It should be noted that Wills, Chapman, Purves, and O’Brien all do very good charactisations of the Doctor as well. It’s always interesting hearing actors try and personify the Doctor. William Russell and Carole Ann Ford has equally done very enjoy enjoyable renditions. All these impersonations are different, and so far, for me, all have worked. Where Bonfire of the Vanities doesn’t quite work for me is in some of the plotting. The “end reveal” feels vaguely at odds with the story, as do the robotic Guys that pop up midway through. The Guys in themselves are quite effective as antagonists, but the reason behind them, and the anarchy gripping the streets, as well as the motivations of the man seemingly behind all the violence, just doesn’t quite come together for me. I love the interaction within the story, I really enjoyed the prose, but there’s just a tonal discord between the historical and the fantastical that isn’t quite as satisfying as I’d have liked. There’s also a couple of scenes where the Doctor’s oratory control feels a little out of place. His power over crowds feels something that I could see in Tennant, Baker, Smith, or McCoy. I just wasn’t sure whether I could see Hartnell having such an easy time at turning a mob. Again, as big as these issues sound, the play did hold my interest. McCormack really brings Ben and Polly to life; two companions I never really warmed to (you may be noticing a trend here: they’re not Ian). So, while I found the plotting a little patchy, there’s a warmth to the tale that makes it worth a listen. This tale perhaps stands apart for the others, but then it has a dual purpose of standing alone and tying up a subtle thread that runs through the collection. I think it’s one people will love or hate. Here we step away from the trappings of 1960s Doctor Who as Guy Adams plays joyfully with formula and structure, taking Polly into an adventure nearly entirely on her own that carries its own modern reflections on the era and the audio format, both stylistically and narratively. I’ll try not to spoil things here, suffice to say there are a lot of allusions to the Doctor’s future, and perhaps, future incarnations, and perhaps, future wars. As with the upcoming Christmas adventure, there are also questions about regenerations too. Which is why I think people will either really enjoy this story or find it a little flat. The tale’s intent of presenting a play within a play is fun. Wills is clearly enjoying the freedom the story brings her. There’s some smart, and sadly necessary, bits of inspired plotting to justify these past two adventures sitting within a space between two television stories that don’t exist. I also like how the story ties the previous adventures into this one without being overly invasive into the prior tales. I also enjoyed Adam’s poetic moments peppering the dialogue. 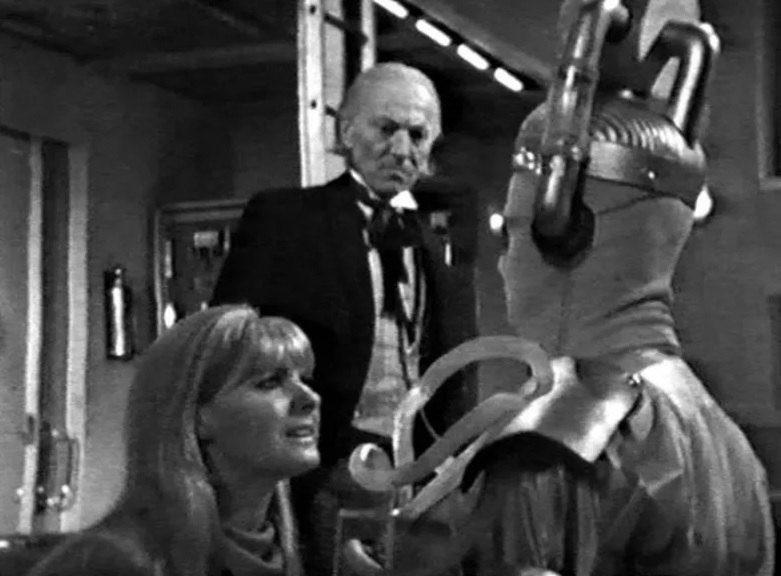 However, for me, I just feel the modern reflections on the events around The Tenth Planet just too invasive. We get a lot of this reflection and canon rewriting in the new show, that for me, has seen Doctor Who spending a great deal of the past seven years, well, navel gazing. There’s nothing wrong in this per se, and I’m not for a moment saying the ideas here are not interesting – and thoughtfully implemented so not to feel too at odds with the era. For me, I think, I like to see these eras exist unto themselves – be that using traditional or experimental techniques – that don’t become too much of a revisionist account of their future continuity. Perhaps if the television wasn’t doing this so frequently, I’d be less critical of Plague of Dreams, and it’s one of my concerns about the Christmas episode in terms of my own personal pleasure. If you enjoy seeing continuity explored, questioned, and maybe revised, then I think the ideas here are fun and fresh and you’ll get a lot out of it. If you’re like me, you might find it just a little too invasive. Overall, it’s a dynamic set, giving you a little old, a little new, and a little in-between. The narration is strong, the stories are well directed and realised. It’s weakness, as a collective, is its dynamic nature leaving it open to personal preferences. If you enjoy “traditional” adventures, Plague of Dreams might frustrate; if you enjoy boundaries being tested, perhaps Field of Terror will feel a little simple. 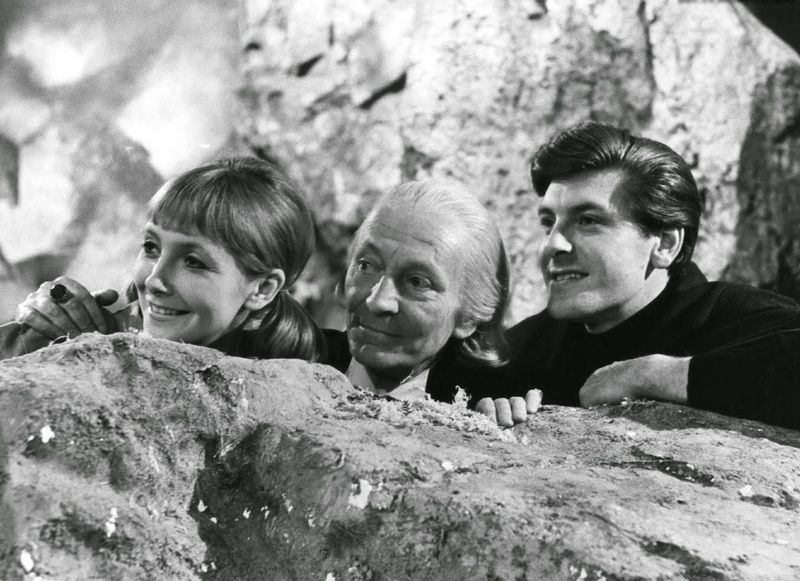 We have a range of companions too, which I initially thought might be a problem given the popularity for Hartnell’s early years, but this isn’t the case. Would I recommend this? Yes, I would. It’s not a perfect set, but then, when was Hartnell’s era every truly perfect? It is however dynamic and has certainly extended my appreciation for Hartnell’s later years. 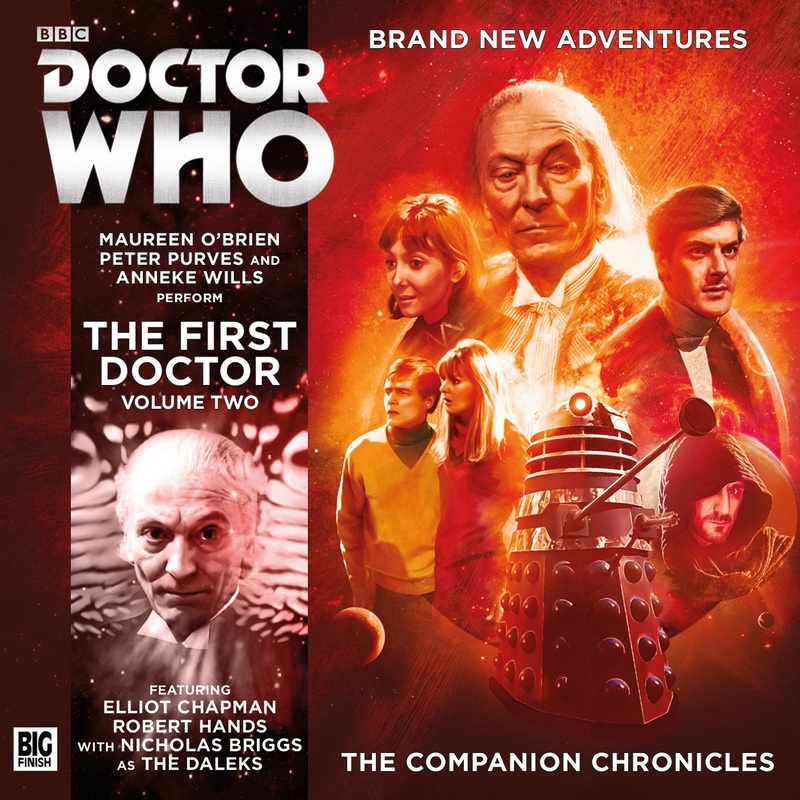 The First Doctor: Volume 2 is out now from Big Finish, priced £25 on a CD or £20 as a download.